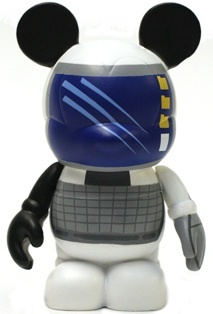 Clear those shelves fellow Vinylmation Anonymouses. The Occupation Series will be coming out on March 4th. This will be a 3″ open window (like Sports) 10 figure set, each sold with one of three randomly packaged Jrs associated with each figure. That means that there will be a total of 30 Jrs! 30!! They will come out first at the D-Streets at Walt Disney World and Disneyland. This looks awesome. The screen and keyboard are the perfect gift for that friend who is really into computers. One of the three Jrs randomly packeaged with IT Tech. It shows the familiar icon of a finger that we all associate with the mouse. Another of the Jrs that are randomly packaged with IT Tech. A great representation of a thumb drive. The last of the three Jrs that are randomly packaged with your IT Tech purchase. I like the simplicity of this figure. Look for more info on this series as it comes. What other occupations do you think will be part of this set? We know Teacher and Fireman. Leave a comment with your ideas. 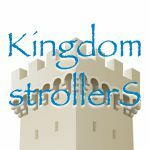 Photos from Disney Vinylmation Blog. Man, I’m glad I don’t collect Jr’s. Looks like it will be hard to get all of them.